The flexible part holding structure designed for the E7000 squeeze riveter gives us the ability to fixture 20 different parts in one set of headers. 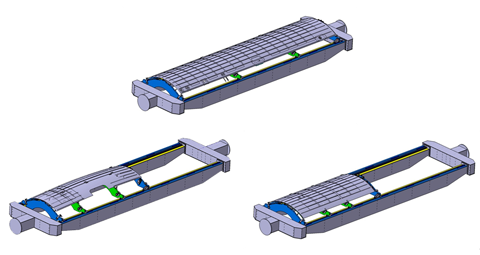 This is made possible by a set of indexing boards that are capable of sliding to many different positions and adapting to support an array of curvatures. 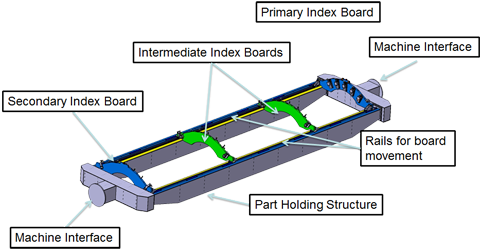 Parts are held in place by a primary, a secondary, and two intermediate indexing boards.